I have a bunch of coffee table books, most of them related to design or photography. It’s great to have them around so my guests and I can flip through them every now and then. But there’s one book missing from my collection — until now. I can’t wait to get my hands on the Emoji Book. 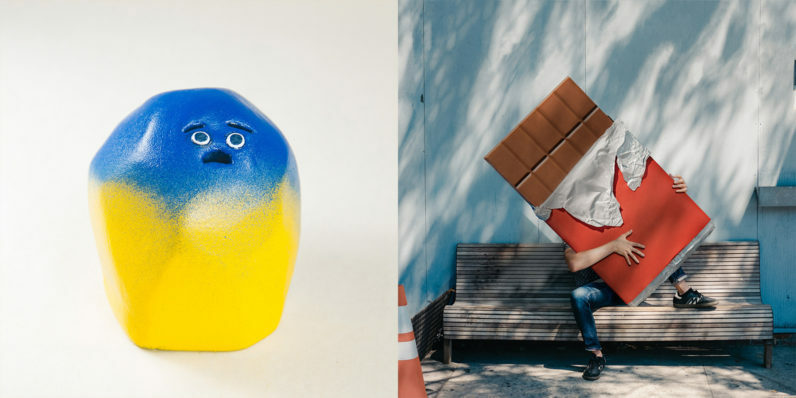 Its authors asked a group of artists to create their interpretation of a specific emoji. Those are being bundled into a printed book that you’ll soon be able to buy. The project was initiated by Charlie Clark and Danni Fisher, two designers with a clear love for the world’s most universal language. The artist renderings come in a lot of different shapes and sizes — they vary from real life objects like the one in this article’s header to digital designs like the mantelpiece clock above. Some are based on illustration or design, while others focus on typography or photography. Even just looking through part of the book’s contents on its website or Instagram is a lot of fun, and makes me excited for its final release. It seems like the perfect gift for someone who loves quirky design gifts and like to use emoji every once in a while. On a related note, my birthday is September 18th 🍰. The book is currently in pre-production and will be for sale later this year. You can sign up on the website to stay in the know.